Black and white image of a large group of students gathered along the boardwalk in front of their two-story school building with their teachers. Note the various lengths of pants worn by the boys in the front row; some are still wearing the short pants that were popular for young boys, while others simply wear long pants. By this time few boys of school age wore the traditional skirts, but many young boys still wore 'short pants' until they reached an age where their families would allow them to wear long pants. The two women standing at the far left of the image are the teachers, while the man at the far right is the principal. 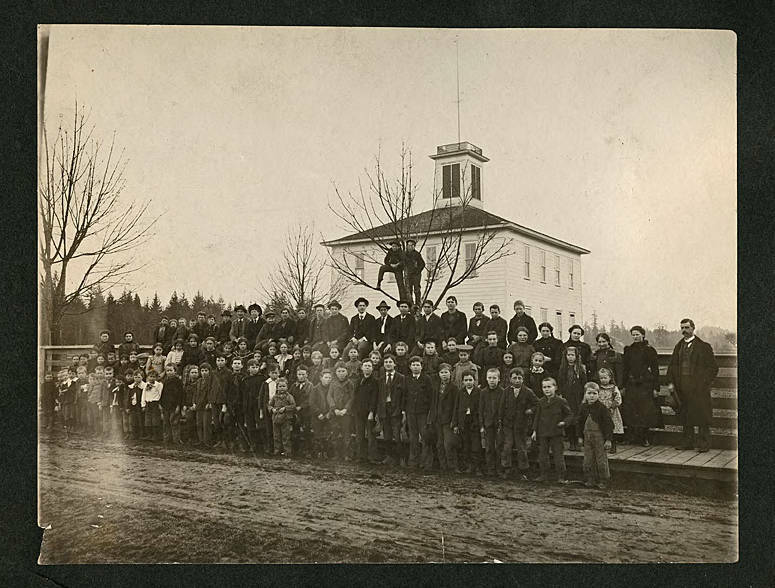 [back] [typed] Cornelius Public School, About 1900. Bert Porter, Principal. 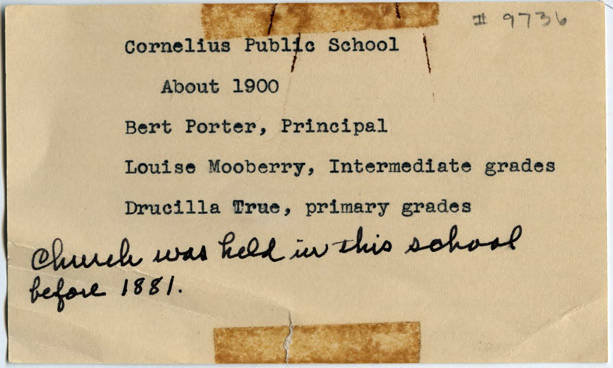 Louise Mooberry, Intermediate grades; Drucilla True, primary grades. [pen] Church was held in this school before 1881.